Amazon is ever-changing, because of this, FBA sellers must always stay on top of what is currently working. If you’ve followed the AM/PM Podcast for any length of time, you’ll probably know we’re always testing. 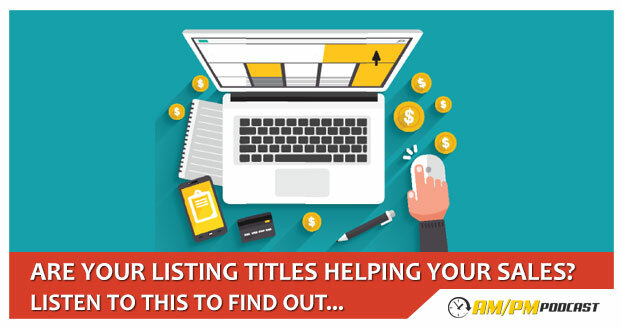 Recently we’ve been testing listing titles, and boy are we seeing results! How does my product title boost my sales and ranking in Amazon? How do keywords help drive sales for my product listings? How does keywords help generate traffic for my product listings? Listen to this episode of the AM/PM Podcast to learn more about our findings.